Esther has lived on a cruise ship for sixteen years, ever since she fled an apocalyptic catastrophe with a handful of desperate survivors. 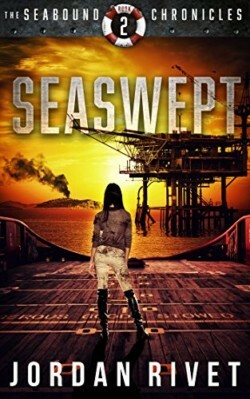 Now she works as a ship’s mechanic and dreams of a life beyond her floating small town. When disaster strikes the water system on Esther’s watch, she’s thrust into an adventure that will threaten the lives of everyone she loves. In danger of running out of drinking water, Esther and her friends sail for a mysterious floating metropolis called the Galaxy Flotilla. The flotilla’s residents—including their handsome and enigmatic spokesman—parade their lives of luxury before the newcomers, but they’ll want something in return for their warm welcome. Esther may be the only one who sees the threats lurking beneath the surface. 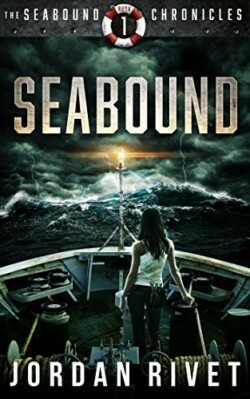 The post-apocalyptic adventure at sea continues in the heart-stopping second book in the Seabound Chronicles. When Esther makes a major breakthrough, David offers to sell her technology for supplies and alliances for the Catalina. They dock with the Amsterdam Coalition, where David’s bidding war soon takes a dangerous turn.